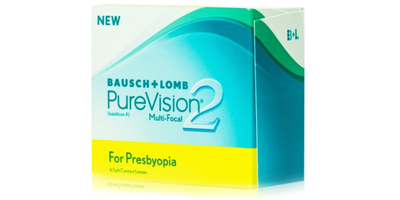 PureVision2 For Presbyopia are made from a silicone hydrogel material allowing three times more oxygen to pass through to your eyes helping them stay clear, white and healthy. They are designed to improve near and in-between vision while providing excellent distance vision. 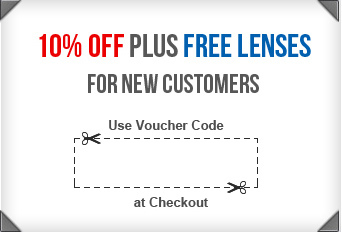 These lenses also feature a thin lens and rounded edge for outstanding comfort. 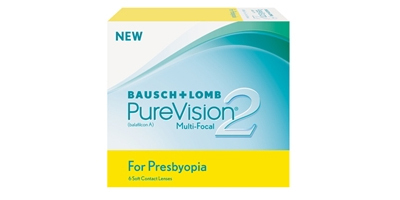 PureVision2 for Presbyopia,features ComfortMoist Technology that ensures the lens stay moist and hydrated during long hours of wear, reducing discomfort towards the end of the day. 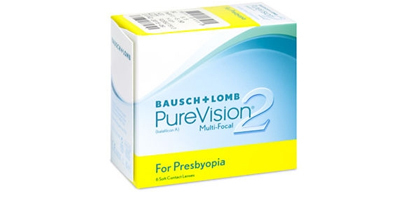 Place an order forPureVision2 For Presbyopialenses with us and get fast delivery to your doorstep.